Instructions: Find the adverbs and tell what they modify in the following sentences. 1. After the hike my muscles were extremely tired and very sore. 2. Yesterday I had hardly completed my very hard assignment when I was rudely interrupted. 3. Gradually everyone reached the top of the mountain they had climbed before. 4. Just now he remembered his rather important assignment. 5. Often you go too far with your jokes. These sentences have adverbs that tell us how much, and they modify other adverbs. Instructions: List those adverbs and what they modify. 1. The carpenter worked somewhat cautiously. 2. The project was moving rather slowly. 3. The amusement ride was much too fast for me to try. 4. The program lasted much too long for Paul. 5. Halloween was too far away for little Jim. These sentences have adverbs that modify adjectives and tell us how much. Instructions: List the adverbs and what they modify. 1. Ila is an unusually good cook. 2. Jeff is very hungry. 3. We all want a perfectly just government. 4. The Internet is an entirely modern concept. 5. These sentences are extremely brief ones. These sentences have adverbs that tell us where, and they modify the verb. Instructions: Find these adverbs and tell what they modify. 1. The fighter moved forward to meet his opponent. 2. There went the boy for some fun. 3. Sit here in this comfortable chair. 4. We are playing outside. These sentences have adverbs that tell us when, and they modify the verb. Since there has been some confusion about adverbs, I think we need a few more lessons about adverbs. We need to memorize what adverbs tell us and what they modify. We must always remember this basic information to handle them correctly. 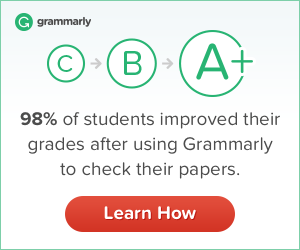 Adverbs are words that modify (1) verbs, (2) adjectives, and (3) other adverbs. They tell how (manner), when (time), where (place), how much (degree), and why (cause). Why is a common one-word adverb that tells why. 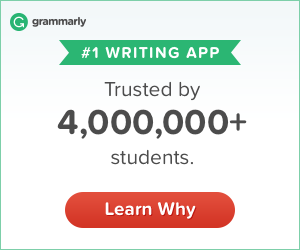 Adverbs that tell us how, when, where, and why always modify the verb. Adverbs that tell us how much modify adjectives or other adverbs. These adverbs are also called qualifiers because they strengthen or weaken the words they modify. Examples: He kicked the ball solidly. (how); He kicked the ball immediately. (when); He kicked the ball forward. (where); He kicked the ball too hard. (how much). Instructions: The following sentences have adverbs that tell us how, and they modify the verb. Find the adverbs in these sentences and tell what they modify. 1. Joe was frantically mumbling to the 911 operator. 2. The message was secretly hidden in the cushion. 3. The room was decorated beautifully for the wedding. 4. The spy readily accepted the new assignment. 5. He was carefully disguised but captured quickly by police.